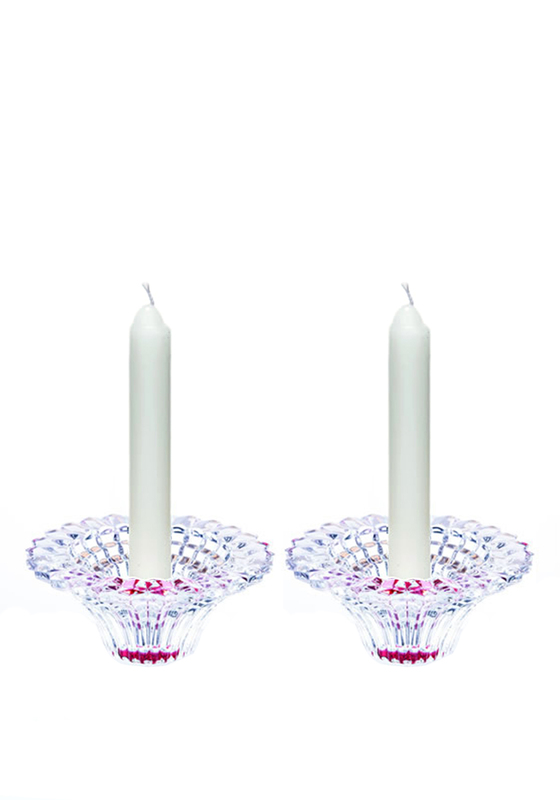 A beautiful addition to your home, this set of two Purple Circle candleholders from Newgrange Living would look lovely on your mantelpiece or dining table. 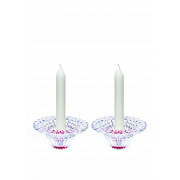 Crafted from clear crystal with a wine purple bottom and intricate design throughout. The set comes with two ivory dinner candles.